One of the worst aspects of underwater photography is the fear that this dive could be the last for your precious camera. The integrity of the o-ring seal is the most important aspect of a good underwater housing and up until recently, there was really no way to know if your housing was sealed or not. A simple stray hair, bit of sand or fuzz can not only ruin the camera, but also your day or the whole trip. Why risk submerging your fragile photo gear without some assurance that the o-ring is clean, and will hold fast against the pressure of the ocean depths? A few years back, housing manufacturers started introducing a very useful accessory to their line ups, the vacuum seal. Prior to this, some vacuum bulkheads were available through third party manufacturers, but they have since come along way. Now available either from the manufacturer, or through third party companies, there is no reason to risk a dive without the security of a vacuum valve on your housing. 1) You just dropped thousands of dollars on your shiny new photo gear, are you really going to risk it to the chance that your o-rings are sealing properly? 2) Underwater gear insurance policies are expensive, and don't always cover you completely. Prevent housing floods with a vacuum valve. 3) It is a simple process that adds less than 5 minutes to your camera prep, why not? Most vacuum systems these days involve a simple bulkhead that screws into a bulkhead port on your housing. Often there are internal electronics installed that monitor the pressure and trigger the LED's to report if all is good, or if pressure loss has occurred. The universal Vivid V4 unit is unique in that it is all inclusive with electronics built into the bulkhead making it a breeze to install in just about any housing. The system will include a pump that is used to draw out the air and set the vacuum seal. In addition there will be a way to purge the vacuum, either on the pump or on the bulkhead itself so that you can relieve the pressure and open your housing after a dive. See all Vacuum bulkhead options. 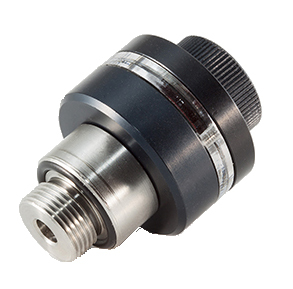 The Vivid Leak Sentinel is an all inclusive vacuum system that builds the monitoring electronics, notification LEDs and valve all into one small bulkhead. This is the only vacuum that you can reset without opening the housing. It also features a useful overnight mode, allowing you to turn off the unit overnight, then turn back on the next morning. It will recognize the vacuum pressure and return a green "good" LED. This feature is fantastic, allowing you to set the gear up the night before, turn it off to save battery life, then turn it back on and go dive the next morning. The system allows for interchangeable adapters, making it something you can take from one housing to the next. In addition, adapters are available for just about any housing type that could accept a vacuum. Overnight Function allows you to turn off the unit overnight. It will recognize the vacuum when turned back on the next day allowing you to save battery life. Battery replacement requires opening an o-ring sealed compartment. Any Ikelite DSLR or Sea & Sea housing owner will find this product extremely useful. Any Aquatica or Nauticam owner that is not a fan of the native vacuum system from their manufacturer may find this product more to their liking. In addition Nauticam shooters with older (pre-vacuum) housings can use the V4 without paying an additional $220 to install the electronics inside their housing. 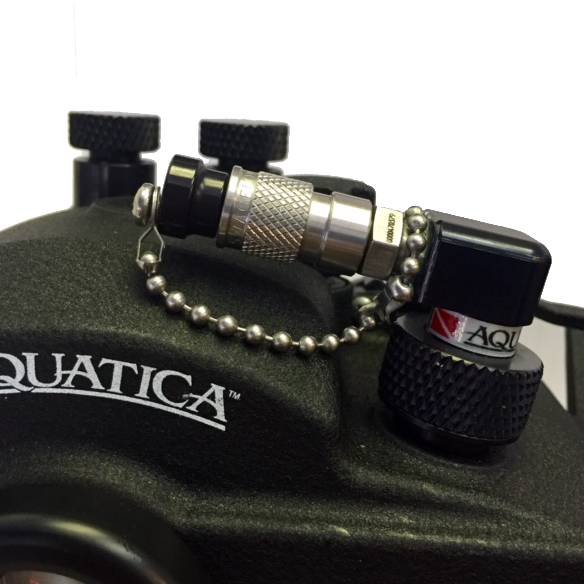 The Nauticam Vacuum Check has been one of the most popular accessories for their housings. This product is only compatible with Nauticam housings, and some of the older or smaller housings will not work with it. It pairs with electronics that now come standard in any Nauticam housing, using an LED that changes from Blue, to Yellow to Green as you pump the vacuum. The LED will go from Green to Yellow to Red to let you know if pressure is lost. It pairs with the Nauticam Leak Detector which will emit an audible alarm if water enters the housing. The pump is easy to attach and small, which makes it easy to pack for traveling. Rear of the housing will have to be opened to reset the vacuum if you change lenses. Note: Some newer Nauticam housings include a vacuum reset button to avoid this. The Aquatica Surveyor system works just like the Nauticam Vacuum Check in that you have a bulkhead piece mounted to the outside of the housing. Inside are the vacuum electronics. Turn on the electronics, close the housing and pump out the air. The LED will change colors when the vacuum seal is at the right pressure, then you let it sit. As long as your LED stays the same color you are good to go. Bulkhead swivels 360° allowing you to spin it out of the way on any housing. If housing floods, the vacuum electronics inside will have to be replaced. Only compatible with Aquatica Housings. You have to reattach the pump in order to depressurize the housing. Adds an extra step to quick lens or battery changes. Recsea recently started offering a vacuum system for some of their housings. Mostly used on their larger video housings, it will work on some compact and mirrorless housings with an available bulkhead. 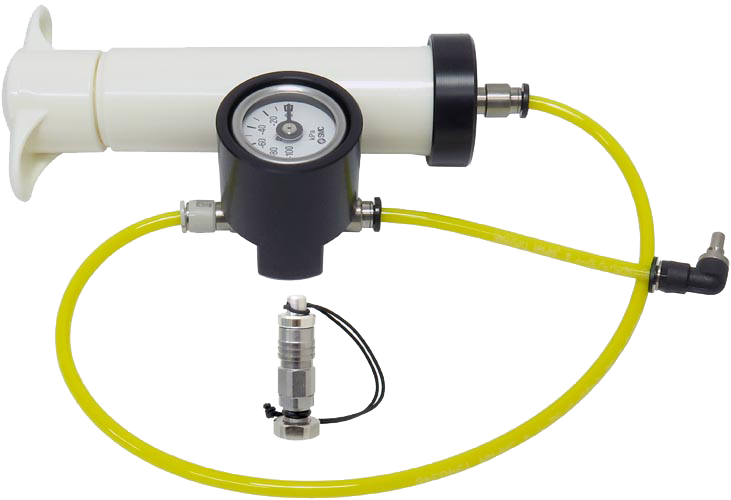 The Airlock system uses a manual pump with a gauge. Simply pump out the air to the specified pressure on the gauge, then disconnect the pump. Wait 20-30 minutes, reconnect the pump and check that pressure is holding. This option does not feature in dive monitoring. Contact us for more information on the Recsea. If you have an Aquatica or Nauticam housing then you should definitely be budgeting out your housing kit with the vacuum system from each manufacturer. They are a small cost when compared against flooding your housing. Proper use of the vacuum along with correct housing maintenance will ensure that you have many enjoyable dives and hopefully never have to deal with a flooded housing. 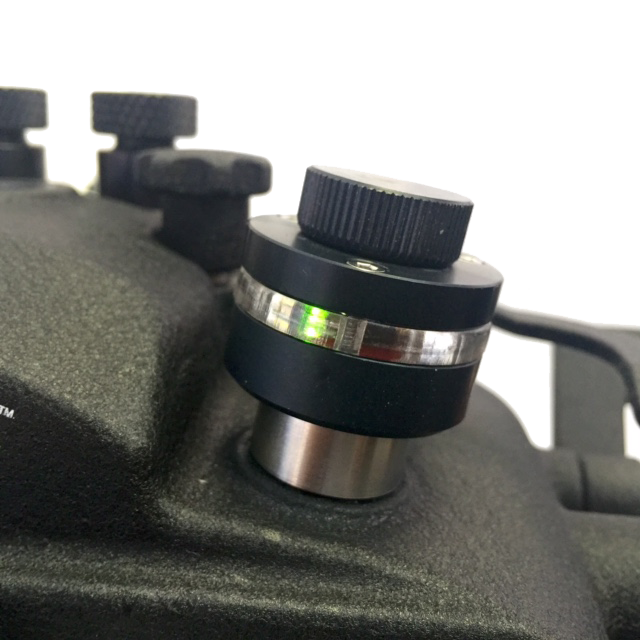 If you dive an Ikelite or Sea & Sea DSLR camera, then should definitely be including the Vivid V4 Leak Sentinel in your housing kit. For Ikelite users, it is fairly easy to remove the control and install the Leak Sentinel, or you can always ship us your housing and we'll take care of the install and test the vacuum for you before shipping back. Likewise with Sea & Sea, for most users the Leak Sentinel can directly replace the electronic sync cord bulkhead, which is great if you are using fiber optic cables. If you're using the bulkhead for your strobes, there is another option to install in a second "empty" bulkhead if available on your housing. Install is easy, and we're happy to take care of that for you as well. 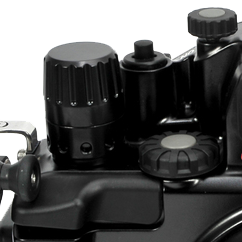 Aquatica and Nauticam shooters can also use the Vivid V4 Leak Sentinel if you want to have all the electronics self contained in the vacuum unit, versus inside the housing, and to be able to reset the vacuum without opening the rear of the housing. In addition, older Nauticam housing owners (pre vacuum) can use the Vivid system without having to pay the additional $220 to install the electronics in their housing! Adding a vacuum system to your housing is a very smart choice. This small accessory can mean the difference between an enjoyable dive and having to replace your camera and lens. Why risk diving without it? Get all the details on why you should be using a vacuum valve on your housing.